Make sure you and your squad have all the ammo you need. In this video, Sky gives you the info you need on ammunition scarcity and how to stay well-armed. A vitally important new element introduced in Battlefield™ V is that of ammunition scarcity or Attrition. You’ll have a limited amount of ammo to start, which means knowing how to find more and how to ask for more from your Support squad mates is incredibly important. First, get tactical when it comes to firing your weapon – spraying bullets everywhere is a great way to end up hearing a sad “click, click, click” at the absolute worst moment. Second, check your fallen enemies; they can be a great source of ammo just when you need it most. Third, Supply Stations are your friends, and you’ll definitely want to find them on each map ASAP. And, finally, you can always call on your Support squad mates for a little extra ammo when you’re running low. You can learn more about the Support Class here and Attrition here. Have some more questions? 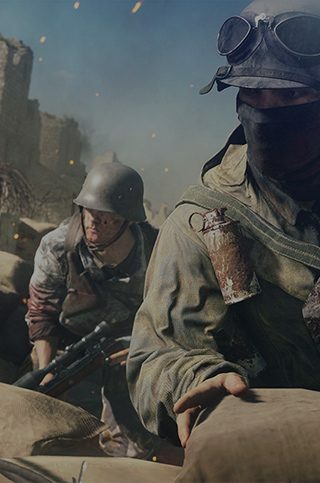 Find your answers on our Battlefield V Boot Camp page.